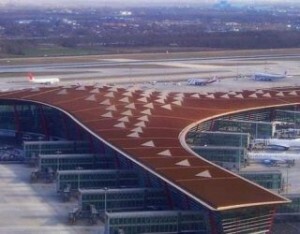 China is planning to build the world’s biggest airport after it’s already massive Beijing Capital Airport now reaches maximum capacity of 75 million passengers annually. The airport named Beijing Daxing International is slated to be ready in 2015, and would have 9 runways with eight of the runways said to be used by civilian aircraft, and the ninth reserved for the military. Beijing Capital Airport is currently the biggest airport in the world and it takes Heathrow’s five terminals combine to equate in size. Most airports in China have good passenger volume due to their domestic demand, hence allowing them to grow positively.